Yoqneam, Israel, March 26, 2019 MIND C.T.I. LTD. – (NasdaqGM: MNDO), a leading provider of convergent end-to-end prepaid/postpaid billing and customer care product based solutions for service providers as well as unified communications analytics and call accounting solutions for enterprises, today announced that it has signed a definitive agreement to acquire Message Mobile GmbH, a leading provider of enterprise messaging, communication and payment solutions, based in Lüneburg, Germany. 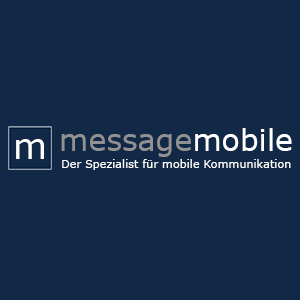 Message Mobile, an independent subsidiary of the Materna Information & Communications SE in Dortmund, Germany, is an international specialist for customized mobile communication solutions with more than 15 years’ experience in the mobile industry. Its messaging platform enables enterprises to easily communicate with clients and partners via text / SMS, instant messaging or voice. Message Mobile allows enterprises to communicate with and send marketing messages to customers via instant messenger services like WhatsApp, Facebook Messenger and Telegram. Message Mobile also offers mobile payment solutions that use phone bill charging for a wide range of applications such as mobile parking payment. Message Mobile will operate as the German headquarters for MIND and will be led by Gilad Parness, VP Enterprise Solutions, a member of the current MIND management team. Gilad has been with MIND since 2004, leading engineering, support and sales teams. Dr. Martin Hecker, Message Mobile’s founder, will continue consulting the MIND group for the foreseeable future. MIND acquires Message Mobile for up to approximately $3 million in total, $2.25 million in cash and approximately $0.75 million in 345,908 MIND shares to Dr. Martin Hecker, Message Mobile’s founder. The transaction is expected to be marginally accretive to our earnings per share, excluding acquisition-related items, in fiscal 2019 and thereafter. MIND’s financial results will include the acquired company’s results starting the second quarter of 2019. The acquisition is anticipated to be completed shortly, subject to customary closing requirements.